The second of three ABB FIA Formula E Championship rounds in the Americas: On Saturday, February 16, the fully electric racing series will hold round four of the 2018/2019 season in Mexico City. The Audi Sport ABT Schaeffler team will be racing in Latin America’s biggest metropolis with the most successful car this season to date: In the Audi e-tron FE05 equipped with Schaeffler technology, Daniel Abt, most recently in third place in Santiago de Chile, clinched the team’s first podium and on posting the fastest race lap continued to underpin the squad’s upward trend. Sam Bird from Team Envision Virgin Racing that is fielding two other Audi e-tron FE05 cars in 2018/2019 scored the electric race car’s first victory this season in Chile. Formula E is traveling to Autódromo Hermano Rodríguez for the fourth time since 2015. The modified Formula E circuit, shortened to 2.093 kilometers, is the only permanent race track on the Formula One calendar and has been a good one for Audi Sport ABT Schaeffler in the past two years: 2017 saw Lucas di Grassi winning the race in spite of a collision and an additional pit stop including an exchange of the rear wing. 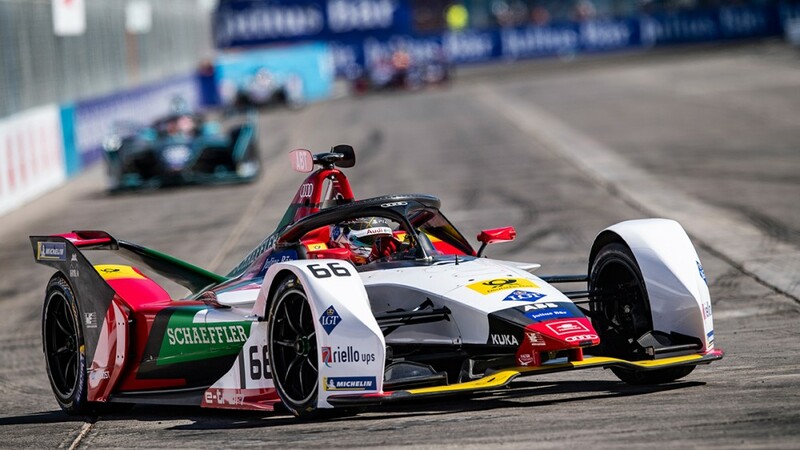 In 2018, Daniel Abt celebrated his first ever Formula E triumph in Mexico’s capital city that marked the first victory of a German driver in the all-electric racing category as well.